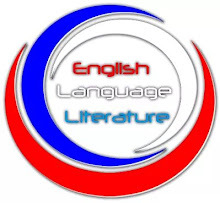 The reason why you can't say "give him him book" but can say "give her her book"
As a teacher and an online tutor of English as a Second Language (ESL), one of the funniest questions I've ever got from learners of English is "why is 'give him him book' considered ungrammatical unlike 'give her her book'?" This is really silly, right? Well, before saying a very loud yes to the question, don't forget that the persons asking this question are not native speakers of the language; thus, needed to be provided with the best answers on any questions on the language, no matter how stupid it may sound. This will not only spur them to learn the language but will also make them understand how it works. If you are among those who are still wondering why we can't say "give him him book" but can confidently say "give her her book," don't stop reading until you get to the last word of this article. Although there might be other reasons why it is grammatically wrong to say "give him him book", this article discusses only the simplest reason in order to aid better understanding. In English grammar, there is what we call possessive pronouns. Possessive pronouns are pronouns that are used to show that something or someone belongs to you. In other words, possessive pronouns are used to show ownership. Examples of possessive pronoun are "my", "mine", "her", "hers", "his", "our", "ours", "their", "theirs", "your" and "yours". 2. This book is mine. 3. That is her pen. 4. That pen is hers. 5. This is our land. 6. This land is ours. 7. Give them their pens. 8. These pens are theirs. 9. Your house is very big. 10. The food is yours. 11. Don't hesitate to give him his pen. 12. The red bag is his. From the aforementioned examples of possessive pronouns, you will notice that "him" does not constitute the list. This simply means that "him" is not a possessive pronoun hence can't be used to show ownership. In other words, you can't say "him book" since "him" is not a possessive pronoun. "Him" (which is the objective case of 'he') is a personal pronoun, and its gender equivalent that is used to show possession/ownership is "his". That is why we can boldly say "his book". "His" is always used to show ownership whereas "him" is mostly used instead of a noun in the object position of a sentence. 1. The man slapped Emeka. 2. This is Emeka's book. On the other hand, you can say "give her her book" because "her" is a personal pronoun and also a possessive pronoun. Most times, we are compelled to question the ungrammaticality of the sentence "give him him book" because of the presence of double "her" in "give her her book" without knowing that the double "her" are very distinct, both in function and type. The first "her" in "give her her book" is personal while the second "her" is possessive. So, the sentence can be rewritten as "give Ada her book". Unlike "him", "her" has no different gender equivalent to show possession or person so it functions as a personal pronoun and a possessive pronoun. In sum, it is very ungrammatical to say "give him him book" because "him" is not a possessive pronoun but a personal pronoun hence cannot be used to show ownership/possession.